The Mustard Seed Co-operative’s new café is just shy of two weeks old. The café fits in a perfect hub on the left upon entering the grocery store. The warm string lights, wooden details and contrasting black backdrop displaying the café menu set a welcoming tone for the Mustard Seed Co-op. At one end of the space lays the café, inside the store yet out of the way of potential shopping. At the other end of the store and directly opposite the café counter is a cozy area with tan round wooden tables, earth-toned chairs and an L-shaped wood bench. It feels like the perfect progression: ordering a coffee, walking across the store to take a seat or walking around the aisles to shop for local food. 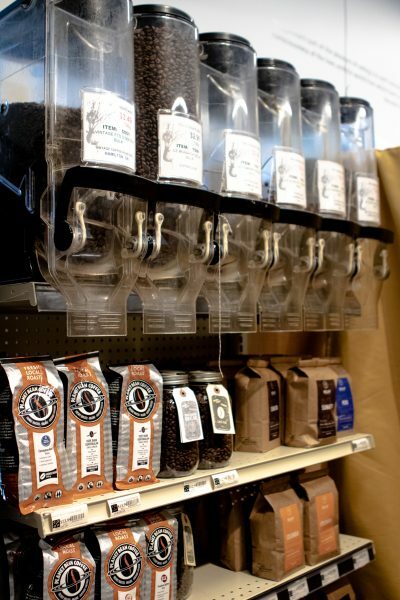 Although the grocery store is a co-operative, there is no membership needed to shop or to enjoy the café’s fair trade coffee, tea, espressos, lattes and Italian sodas with house-made syrups. However, after seeing the harmony between the café counter and the community space all within this grocery store, one can imagine it would be worthwhile to be a part of the community that birthed and built the Mustard Seed café. Stacey Allen-Cillis, the operations team lead and a founder of Mustard Seed Co-op already knew the importance of local eating due to her own backyard garden started by her two kids. She started by selling produce from her own backyard and gave all the proceeds to youth at risk. The people behind the Mustard Seed Co-op are not the only ones interested in urban farming and local eating. Passersby will come across houses selling backyard farm produce on walks through the neighbouring streets and boulevards. “The Mustard Seed community is all very like-minded. We are all connected…so either you’re growing your own, you go to a community garden, you utilize farmer’s markets, you’re passionate in some way about food, community and beyond. It’s all intertwined,” explained Allen-Cillis. 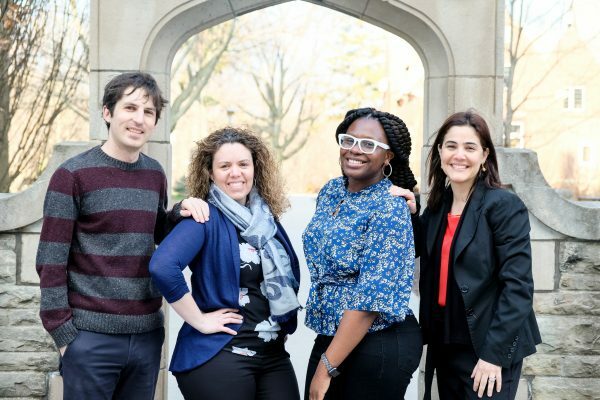 When the community expressed a need for the café, the co-op board agreed. The fated café became a reality through cooperation between staff, committees and even volunteer ‘worker bees’ that built the space. It is only natural for the café space, which includes an indoor and outdoor section, to double as a community space. Adding another medium for Mustard Seed Co-op to connect with the community. 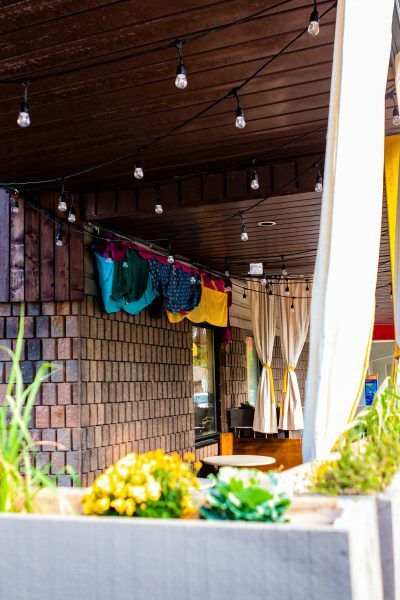 The intention is also for everyone in the neighbourhood to have access to a space that is their own, especially with a lack of cafés within a kilometre radius. The Co-op will also utilize the space to continually educate its shoppers and members about the importance of local eating. With the café honouring the five-year anniversary of the business, it also symbolized that the Mustard Seed Co-op is fulfilling its prophecy as ‘the mustard seed is an ancient metaphor for great things coming of small beginnings,’ as mentioned in the membership passport. Additionally, it is the only Co-op grocery store in Hamilton. 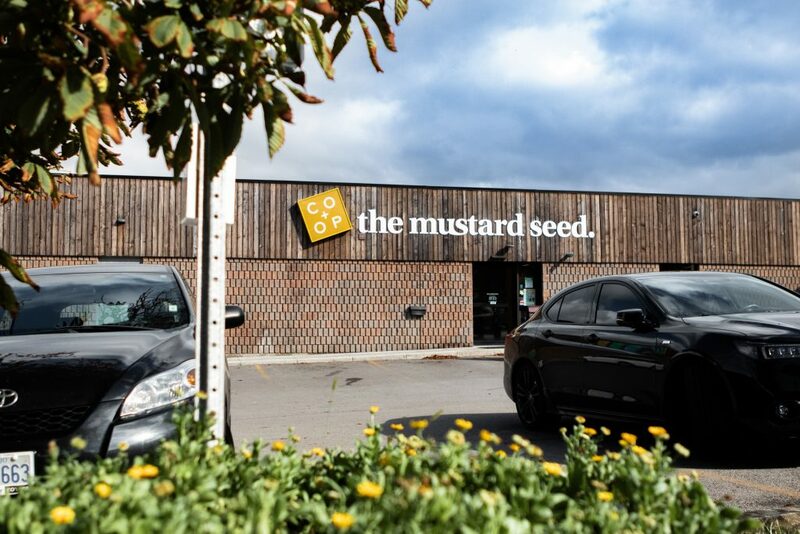 Allen-Cillis foresees either opening another location in Hamilton or encouraging the sprouting of another Co-op by sharing the Mustard Seed Co-op’s success. Allen-Cillis always stresses that everything accomplished is through the cooperation of the Co-op’s members, staff and community. The Mustard Seed Co-op’s members are able to attend general assembly meetings where they can vote and take part in specific committees, like the sourcing committee, which focuses on where local food is coming from, or committees like the one that made the café a reality. Walking through the grocery aisles, café and community space seems like the perfect intersection between conscious eating and supporting the community. 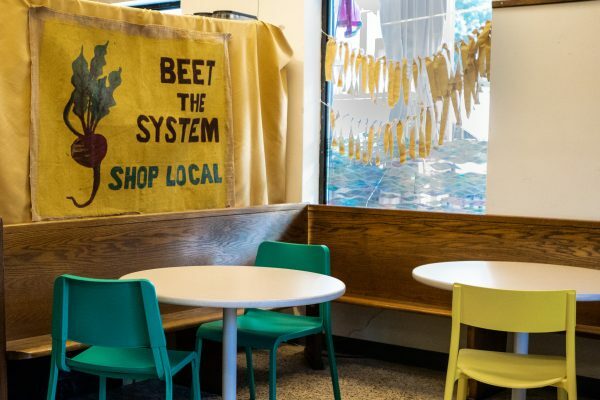 For the health conscious shopper who loves to give back by purchasing locally sourced produce, the Mustard Seed Co-op is a great grocery store and now, a great café with a community space you can call your own.